Networking Hacking is an offensive branch of computer security related to networks hacking and the penetration of a target via the networking services or equipment. 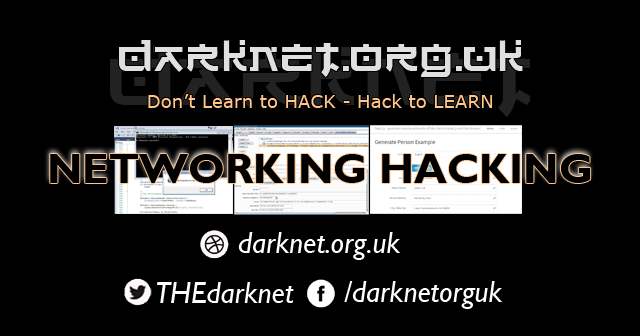 Examples of network hacking tools include Kismet – Wireless Network Hacking, Sniffing & Monitoring, THC-Hydra – The Fast and Flexible Network Login Hacking Tool, Infernal Twin Updated 2.6.11 – Automated Wireless Hacking Suite and Firesheep – Social Network Session Stealing/Hijacking Tool. Network hacking would also include WLAN hacking, wifi hacking, wireless hacking, Cisco hacking and so on which would rely on various different types of network hacking software. In this day and age, pretty much all hacking takes place across some kind of network (be it a private network or LAN, the public Internet, a darknet, public radio networks or any other kind). You can find the best resources and networking hacking tools below.